This project was a full depth curb-to-curb rehabilitation of Nelson Street from Mission Avenue to Marshall Avenue and surrounding residential streets. The project came in on time and under budget. 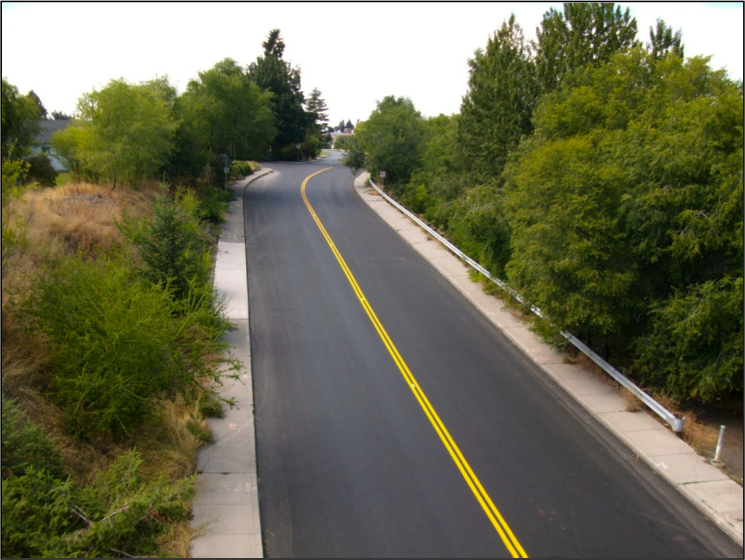 Each street within the project was evaluated for full reconstruction, grind and asphalt overlay, and crack sealing and fog sealing. Water system, storm drain system, and sanitary sewer system improvements were made in accordance with the need of each City Department. 1)The streets are residential access roadways, three of which are also Spokane Transit Authority Bus Routes. 2)The location is in the vicinity of Spokane Community College. 3)All of the pavement structures were in various degrees of failure including longitudinal, transverse, and total replacement. 4)All the streets were in serious need of either major water proofing treatments of total replacement.